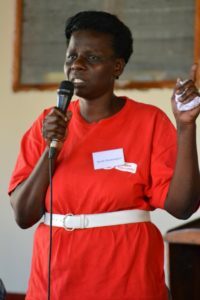 These verses are the source of the 2017 theme for New Hope Uganda, “To be known as His disciples.” During the days from Jan. 11-17th, the leaders held the annual conference for staff and some visitors as well. Many of the sessions focused on how God’s people can and should practically live out this command through relationships with one another. Special emphasis was put on family relationships and also on how education is carried out. 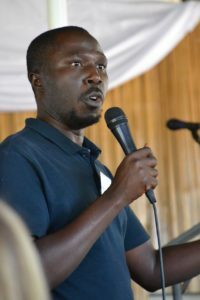 Godfrey Kyazze, head of the Master’s Institute for Education, served as the main presenter. He spoke on topics such as the authority of Scripture and looking at how to carry out Christian education well. Uncle Jonnes and Uncle Jay also spoke, expounding on this year’s theme, Biblical marriage, and other subjects. Uncle Jay and his daughter Jennie spent a day reviewing Biblical Manhood & Womanhood with the staff. 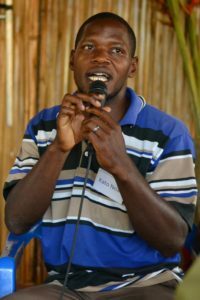 There were also sessions about practical issues such as Biblical family structure by Geoff Britton and a review of some important NHU policies by Dennis Mutaka, Manager of Kasana Children’s Centre. A couple special sessions occurred on Monday, as some daughters and sons shared testimonies of how God has used New Hope in their lives. That afternoon, ‘the historicals’ (people who have been part of New Hope for more than 20 years) shared stories about the early years of the ministry. It was a time of laughter, and also a time of remembering how far God has brought the ministry from the point when the founding members first arrived in Uncle Jay’s “goat” (a small Jeep). 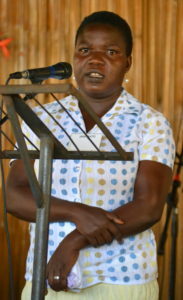 Sarah Muwanguzi, School Mother at EEVPS, shared how God first laid the Luwero Triangle on her heart. She was part of an outreach to this area from her church, and she saw the hard conditions. What especially touched her was seeing a child walking along the road, crying from hunger and the heat, and still with a long way to go home from school. “I started praying, asking God to bring some Christian missionaries to help children in villages like this,” Auntie Sarah said. “The Lord showed me that ‘YOU can be part of it!’” About a year later, she went through training with Youth with a Mission and found herself once again in this area serving during her internship. She heard about the beginning of New Hope, and she joined the team a short time later. Waswa Michael, who now works with IT at New Hope, was one of the early children to arrive. “I’ve never seen my mother,” he said. 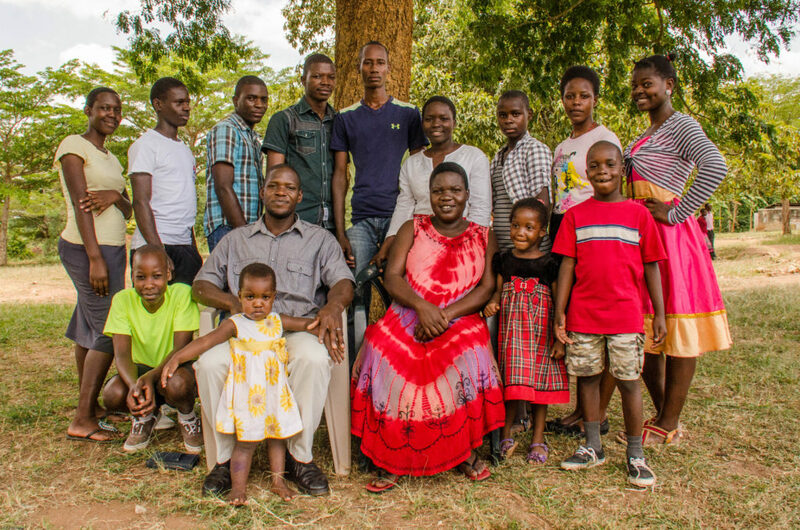 “From childhood I think I was malnourished.” Uncle Jonnes commented that even at seven years old, Waswa was carried like a younger child when he first came. He and others were put on a special diet to help them gain weight. Later, Waswa faced other medical challenges. He took his Primary Leaving Exam from Kiwoko Hospital, where doctors said at one point that he would only have three hours to live. “In the feet, I had enough jiggers to get every one of you and I remain with enough. So can you imagine such a kind of boy walking those kilometers by foot?” Jiggers are like fleas that burrow into people’s feet and lay egg sacs, causing painful wounds that can become infected. Kato’s village was five kilometers (over three miles) away from Kasana. “And of course I didn’t have shoes,” Kato continued. “I think I first put on shoes in P5 or P6” (4th or 5th grade). 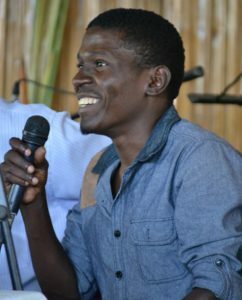 “I praise God for this family,” Uncle Kato concluded. “That’s where I came from, that’s how we looked like.” After completing Primary 7 (6th grade), he branched to do vocational training. 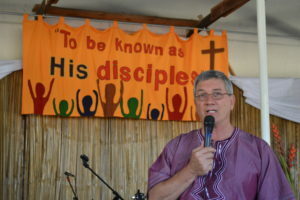 He later became a family father for the Jonathan family group, where he has served for almost 10 years. 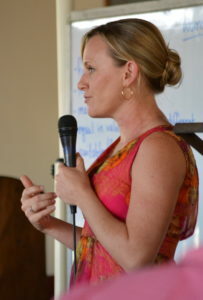 Jane Kato joined New Hope in the same year as Kato. She recalled how her father returned safely home from the war, only to be slaughtered by some of his friends shortly after. Jane was very young at the time, so she grew up thinking that her mother’s new husband was her father. A few years later, Jane joined New Hope at the age of 9. Auntie Benna, one of the early elementary teachers, gave Jane and a couple other students special tutoring because they had skipped preschool. Auntie Sarah was another of Jane’s early teachers. “My teachers were more than teachers, they were mothers,” Jane said. During her secondary school years, Lydia Seddinda also became a mother to Jane. “I’m still moving with her up to now as a dear mother,” Jane added. As thankful as Jane was for these mothers in her life, she felt she wanted a father too. And so one day, she wrote a note to Uncle Jonnes, asking him to please be her father. With him, she walked through the journey of forgiving the men who had killed her own father all those years before. Auntie Jane said that she used to never smile or laugh—but now she is known as one who is always smiling. She praised God for the parents He put in her lives to help her reach that point of healing. Several years after being classmates from Primary 1 to Primary 7, Kato and Jane reconnected, and they were married in 2008. Auntie Jane has served alongside Uncle Kato as the Jonathan family mother since then. These are just a few of the stories shared, and an even smaller percentage of the stories of what God has done. The staff praise God for how He has used New Hope to bring transformation in the lives of many! 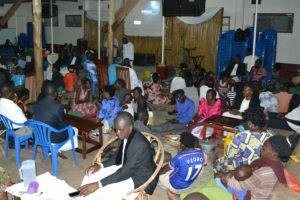 As is tradition, one evening of Envisioning was dedicated to eating a meal according to the customs of one of the tribes represented at New Hope. This year the Baganda culture of central Uganda was the one chosen! To see more photos of the Baganda culture night, visit the album on Facebook! The staff also shared communion together to conclude the week and kick off the new year.